The Pilot Disposable Fountain Pen is a convenient fountain pen with a premium writing feel. With an ink that does not skip or blot it is great for writing invitations and cards. It has a visible ink level and the modern mechanism ensures ink supply remains stable to the last drop. . Black.. 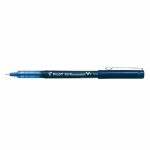 The Pilot Disposable Fountain Pen is a convenient fountain pen with a premium writing feel. With an ink that does not skip or blot it is great for writing invitations and cards. It has a visible ink level and the modern mechanism ensures ink supply remains stable to the last drop. . Blue.. Pilot Fineliner dozen in a box. Writes Fine All The Time!. World renowned for the ultimate experience in smooth, expressive writing. Fine point engineered from tough plastic for lasting performance. Black, Blue, Red. .. Pilot SCA Marker Broad dozen. Universal model with aluminium barrel and large ink tank. 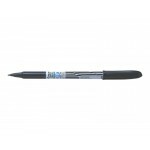 Chisel shaped tip for permanent wide or fine lines.The SCA-B is a permanent marker which is free from toxic solvents.It allows you to write on all kinds of surfaces. . Available in Black, Red, Blue, Gre.. Pilot SCA Ex Fine doz. Extra fine plastic tip with nickel-plated brass metal shank support. Will write virtually on any surface. .. Pilot SCA Ex Fine ea. Extra fine plastic tip with nickel-plated brass metal shank support. Will write virtually on any surface. .. Pilot SCA Fine doz. Universal model with aluminium barrel and large ink tank. Bullet shaped tip for permanent sharp lettering that writes most surfaces indoor and outdoor. The SCA-F is a permanent marker which is free from toxic solvents. 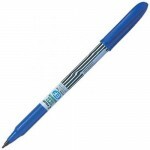 Pen with cap.Writing width : 1.00 mmInk colour : Black, .. Pilot SCA Fine ea. Universal model with aluminium barrel and large ink tank. Bullet shaped tip for permanent sharp lettering that writes most surfaces indoor and outdoor. 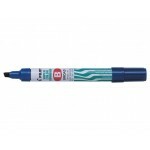 The SCA-F is a permanent marker which is free from toxic solvents. 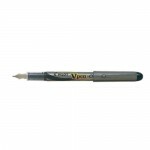 Pen with cap.Writing width : 1.00 mmInk colour : Black, B..